Paddle boarding is very popular water sport in this city! A paddle board is a simple board capable of holding one person, standing with a paddle. Paddling moves the board on the water and involves a great deal of balance to master. The Giant Paddle Board is similar to a standard paddle board, except that it can carry up to 10 people! You can imagine the fun and laughter that ensues! 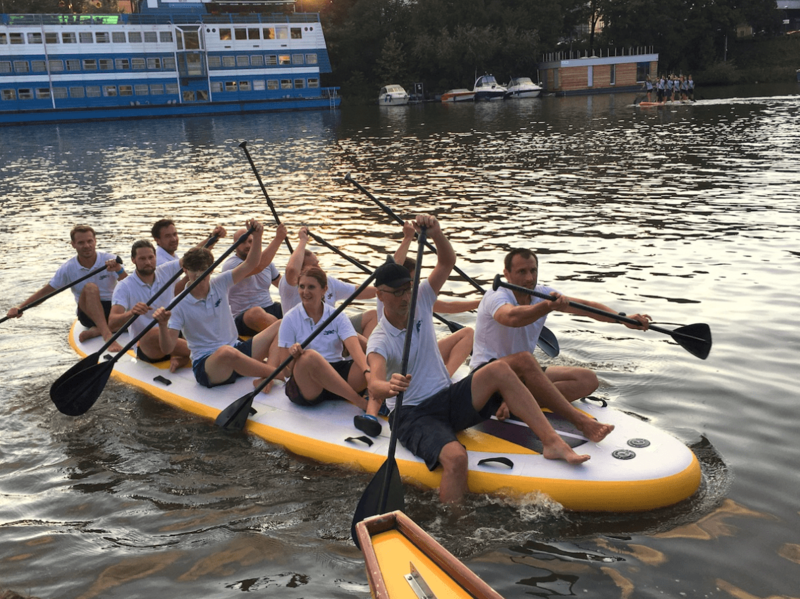 The Giant Paddle Board is a light team building activity organised on the Vltava river in Prague. All guests are introduced to rules and safety procedures, teams of a maximum of 10 guests are created and introductory time is spent in mild water or close to the river bank. All members of the team must cooperate and synchronise in order to move on the water. Finding your balance on a Giant Paddle Board is easier than it sounds, as it is quite stable. It rarely happens that someone falls into the water event if you hit waves, because the Giant Paddle Board has foot slots on the edges. Everyone puts one foot into the slot, the second foot is in the middle fixed with the foot of the person standing next to them. Like a Dragon Boat, the Giant Paddle Board is used for racing on water… and the fastest team wins. Races can be customised to whichever length you would like. 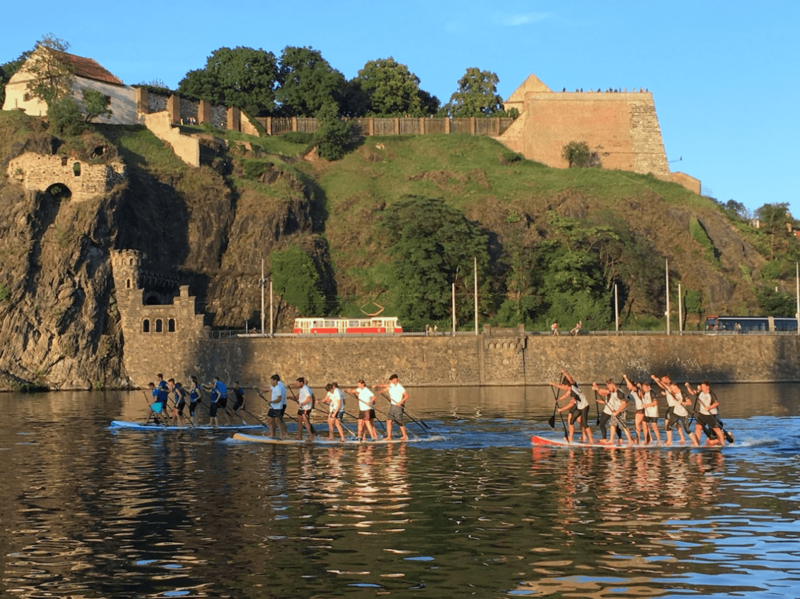 There are currently only three Giant Paddle Boards available in Prague, but that does not limit the number of teams who can enjoy it! Cheering on your favourite team is just as exciting as being actually on the board. Giant Paddle Boards can also be used as an unorthodox way of discovering the city - guests can cruise on boards through the historical centre of Prague.